When you need answers to potentially life-changing questions, the ticking of the clock seems especially loud. IDENTIGENE offers customers 1-day rush processing. The kit can be purchased at nearly 20,000 drugstores and supercenters across the country. How Does 1-Day DNA Paternity Testing Work? Customers can purchase an IDENTIGENE DNA paternity test kit from a local drugstore or supercenter (CVS, Rite Aid, Walmart) in the family- planning or home-testing aisle. Then, customers can set up and pay for their test online or call us to make payment over the telephone. This payment includes the $139 laboratory fee + 1-day processing ($30 extra). While setting up your test you create a username, password and choose an email. IDENTIGENE also offers same-day results for our customers. Customers can set up and pay for their test online or call us to make payment over the telephone. This payment includes the $139 laboratory fee + same-day processing ($99 extra). Samples must arrive at the lab by 8:30 AM on a business day for results to be posted by 6 PM that same day. If you have questions about either method for express results, call us at 888-404-4363. Did you send your samples in the envelope included in the kit? Have in mind it could take anywhere from 5-7 mailing days to arrive in our lab. Have you provided an email? If so, you should receive a notification to let you know when the samples arrive. Please call us if you would like to discuss your case in detail, we need to password verify your account. There are cases where a mistake may have been made in transferring your password, email or username and did not send the notification. Call us at 1-888-404-GENE, Monday-Friday 9AM-6PM ET. Thank you for your comment. Hello. I sent my test in the mail yesterday 12.28.16…but i did not do an account online. I wrote my info and card info on the form provided…..also paid dor 30 dollar lab rush….will this affect my results? Hi, Semaj. No worries! You do not need to create an account online until the lab receives your samples. Please allow 5-7 business days for them to arrive if you used the pre-paid envelope. If you have any further questions or need assistance, please feel free to call us directly at 888-404-4363 (M-F, 9 AM to 5:30 PM Eastern Time). Hello, I sent my samples through overnight shipping. I got a confirmation from UPS that you guys received it 12/30/16 at 8:35 but I didn’t receive any notification from Identigene. I also paid $30 for the process rush. When should I be receiving my results? Hi, Carol. For an update on your case, please contact us directly at 888-404-4363. Our lab has been closed for the long holiday weekend, but is open again now. Thanks for your patience! I bought a test at my local CVS here in Indianapolis Indiana yesterday and got home to take it. There was only a paper in the box, nothing else. I contacted the store to exchange the box for a new one and they said they won’t refund or replace it because it was opened outside of the store. I have been very patient with the situation but I feel that since it came from the factory like that, that I should be sent a replacement for my trouble. I would really like to hear from someone who can help me with this and not give me the run around. Thank you. Thank you for contacting Identigene. We are sorry to hear that there was an issue with items not included in your kit. We would be happy to send you out the items you will need to take the paternity test. Please give our customer service a call at 1-888-404-4363 Monday through Friday 9 a.m. to 6 p.m. E.T. and we will be happy to assist you. Can you run a test without the mothers dna? Thank you for contacting Identigene. We do strongly recommend including a sample from the biological mother because there is a rare chance the results will come back inconclusive without her. Including the biological mother in the testing is optional. We can do the testing without her sample included, and we do provided conclusive results on a regular basis when only testing the alleged father and the child. The web link below will provide you with additional information about why the biological mother is sometimes needed to complete testing. I hope this information helps. If you have any additional questions or concerns please feel free to contact us 888-404-4363 Monday through Friday 9 a.m. to 6 p.m. E.T. and we will be happy to assist you. i was informed by my moms brother that she may not be my mother. He believes my moms sister is my real mother. I’ve been trying to find out for years and no one tells me anything. I’m not close to my mom since she gave me up to a foster home when I was 15 years. All I’ve experienced was so many years of child abuse from her. I’m now 41 and it has always been my wish to know the truth. How else can I find out if she is my real birth mother. 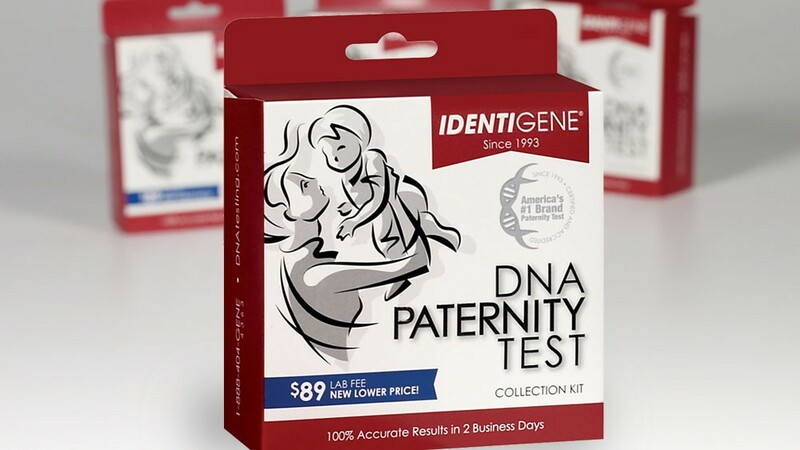 You can purchase the personal DNA Paternity test at your local Wal-Mart, Rite Aid and CVS pharmacies and use this kit for a Maternity test as it is still the same lab fee of $89. When filling out the paperwork you would just need to cross out Paternity and write in Maternity, and proceed with testing yourself and your alleged mother. We would highly recommend testing your biological father to help strengthen the results as your mother and alleged mother are siblings. I hope this information helps. If you have any additional questions or concerns please feel free to contact us 888-404-4363 and we will be happy to assist you. I sent off a test yesterday morning for my son and alleged father… I did not include my samples as his mother because I felt it was not needed. Will this mess up the test or give a false answer? How long does it take to arrive from Alabama? We do strongly recommend including a sample from the biological mother because there is a rare chance the results will come back inconclusive without her. Including the biological mother in the testing is optional. We can do the testing without her sample included, and we do provide conclusive results on a regular basis when only testing the alleged father and the child. The web link below will provide you with additional information about why the biological mother is sometimes needed to complete testing. If your samples were mailed using the postage paid envelope provided in our kit, it usually takes 7 – 9 mailing days for it to arrive here at our lab. Once your samples arrive we will send you an email notification advising that the samples have been received. I hope this information helps. If you have any additional questions or concerns please feel free to contact us at 888-404-4363 and we will be happy to assist you. My mother, myself, and my alleged AUNT all did the swabs today with the paternity test and sent it in. We weren’t aware of the differences in the types of tests until AFTER the fact. Will we get inconclusive results? I’m extremely anxious that we just wasted all this money. We can test a sibling (sister or brother) of the alleged father to help answer paternity questions when the alleged father is unavailable. This type of test is an avuncular test and is $399. Results are typically available in 5 business days; this does depend on how your samples react to testing. The test results for avuncular testing fall into one of four categories: strongly supported (conclusive), somewhat supported, inconclusive, or not supported. I hope this information helps. If you have any additional questions or concerns, or are interested in an avuncular test please feel free to contact us 888-404-4363 and we will be happy to assist you. I have faternal twins do i have to have 2 test to determine paternity? Since the twins are fraternal we would recommend testing both of them. Unlike identical twins that have the same DNA, fraternal twins do not have identical DNA. If the biological mother is participating then you will need to purchase two Paternity test kits, one kit can test up to three participants. If the biological mother is not participating then you would only need to purchase one kit and use the third set of testing supplies for the second child. As this is two Paternity tests, the lab fee is $89 per test (one alleged father and one child) so your total lab fee will be $178. If you have any additional questions or concerns, or would like to pre-pay the lab fees, please feel free to contact us 888-404-4363 and we will be happy to assist you. I’m curious should and would you recommend rinsing thoroughly with mouth wash for all three parties in involved I.e. Mother father and child. So as to not cross contaminate the buccal swabs with what else might be present. Also would being a medical cannabis user effect the DNA test in anyway. We actually recommend for all participants to not put anything in the mouth for 1 hour before doing the collection. This includes eating, drinking, smoking, mouth wash, breastfeeding, and even drinking water. This is to avoid contamination of any kind. If the lab does find any contamination on the samples during testing, we will send you a recollection kit at no additional cost. I hope this information helps. If you have any further questions or concerns please contact us at 888-404-4363. Have a great day! I have called to your phone number several times and it did not connect, can I send samples after three week of they have been put in the envelope? May I ask what phone number you are calling that will not connect? As far as the samples; once the sample swabs are sealed up in the specimen envelope they can be stored for up to 6 months. If you need to store the samples for any amount of time, make sure to store the samples in the sealed specimen envelopes in a safe dry place. The cells on the swabs only have a shelf life of 6 months, so if they were collected 3 weeks ago you are still able to mail them in. If you have any additional questions or concerns, please feel free to contact us 888-404-4363 and we will be happy to assist you. Hi, Jonte. It’s probably a good idea to contact us directly at 888-404-4363 to make sure all the necessary information is included for your case. I need to test two potential fathers …do I need to purchase two kits? Hi, Stacy! The IDENTIGENE paternity testing kit contains materials to test three people. Generally, the potential father, child, and mother (mother being optional). Since you need to test two potential fathers, you can instead use materials from a single kit to test the child and both potential fathers. Please keep in mind, however, that the lab fee for a single “potential father/child” relationship test is $89. Since we are testing another potential father as well, there is an additional testing fee of $89, for a total of $178. Thanks for asking a great question, and we wish you all the very best. Hi, Mia. Thanks for your question! We cannot test any sample, even for a personal test, unless we have a consent signature for each of the participants being tested. If you have additional questions, don’t hesitate to contact our support team during business hours at 888-404-4363. I am researching this website and it says you can get the results online after two days. Does that mean two days after I send off the dna test or two days after you all receive it? I also have another question but it’s very personal and I don’t want everyone seeing it. Hi, MarQuita. You get results in two business days after the samples are received at our lab. For your personal question, please call one of our discreet and knowledgeable client support specialists at 888-404-4363 and they’ll be happy to help. They are available M-F from 9 AM to 5:30 PM Eastern Time. Oh, also I am 17 years old. 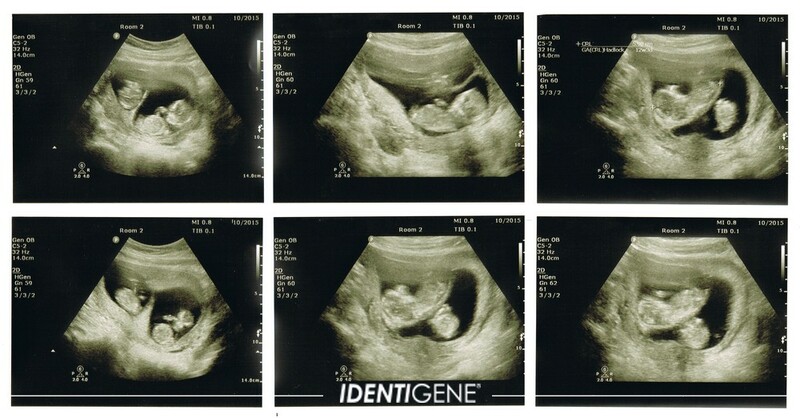 I tested my baby, her father and myself ( the biological mother ). Since I’m 17, do I need someone to sign for me? I just found that out and I live in my own apartment so I don’t have anyone to sign. I signed my signature instead. Hi, MarQuita! Because you are underage, we do require a signature from a parent if you want to submit your samples along with the others. Keep in mind that we can get conclusive results with just your baby’s and the potential dad’s samples. And since you are the mom, you sign for your baby. Please call 888-404-4363 to talk to an expert, if you have more questions. It takes 5-10 business days for the samples to arrive at the lab. Once they do get here, results are posted to your online account in two (2) business days. Ok. I don’t live with my parents so how was they suppose to sign it? I sent it already. We can’t work something out? The lab will see that you don’t have parental signature and they’ll test just the baby and the potential father. In 95%+ of all cases, all the lab needs is baby and possible dad. So no worries, MarQuita. If it’ll put your heart at ease, call in and talk to us. That’s why we’re here! My half brother doesn’t know if my dad is his biological dad, however my dad has passed away to do a paternity test. Would this test work to see if he is my biological brother by just testing him and I or can I just test my niece to see if she matches me? I really don’t want my brother knowing I’m doubting him as my brother. Thank you! (1) If your niece is under 18, we need to have consent to test her from your brother or the child’s mother in order for us to test. If she is an adult, then no consent is needed. (2) We can test to see if you’re related to your niece if we have her DNA along with her mother’s. Because yours is a half-brother, then you have different mothers. If testing proves you have a biological relationship with your niece, then the conclusion can be drawn that you and your brother do indeed share a father. Having your brother’s DNA to test will give the most conclusive results. We always advise to be as open as possible about testing with everyone involved. For complete information about your testing options as well as the costs associated with doing family reconstruction testing, please call one of our experts at 888-404-4363 during business hours (M-F from 9 AM to 5:30 PM Eastern Time). Hope this helps! I messed up the prepaid envelope because I sealed it before realizing I had left something out. Will my order still be processed if received without it? Hi, Kim! We suggest you call us right away so it can be noted in your case. As for getting your results, if you left something out that the lab needs, we would contact you and make arrangements to get it from you. Again, give our Client Support Team a call at 888-404-4363 during business hours. Also if the father bein tested doesn’t have to password can he call and get the results? Are they only bein posted online or will the results be sent to the email to? Hi, Katie! Depending on where you live, it’s 5-10 business days. You’ll get an email once samples arrive at our lab and begin the testing process. Then 1-2 business days after that, you’ll get another email letting you know your results are ready to view online. We never email results themselves, for security reasons. If he was not given access to the password for the account, a potential father can still call and get results, yes, but only after he goes through a specific process. He has to fill out a form, send in picture ID and more so that we can verify he is who he says he is. If you have more questions, feel free to call our helpful Client Support Center at 888-404-4363. Hope this helps and all the best to you! I sent my test out today, it will arrive, guaranteed 10:30 AM tomorrow. Thursday, Oct. 15th 2015. When should I expect the results to be ready? I know it says 2 business days. But I’m not sure if the day it’s received counts. Hi, Joseph! Unless you paid for 1-day rush processing (which it sounds like you didn’t since you mentioned 2 business days), we don’t guarantee you’ll get your results on Friday. That being said, since your samples are guaranteed to arrive mid-morning today, there’s a chance they’ll be ready on Friday. You’ll get an email as soon as your results are posted, so keep an eye on your inbox. If they’re not ready Friday, they’ll be ready Monday. Perfect! That’s what I thought. Thanks so much for the quick response! You’re most welcome. Wishing you all the best! I paid for overnight shipping through USPS, I addressed it with the s. Temple address and it was guaranteed to arrive before 3:00 on Saturday. How soon will I know you received it? Also when will the results be ready? Hi, Abby. We are closed on weekends, so your samples will start being processed this morning. Once the ball is rolling here, you’ll receive an email letting you know your samples have been received. Did you pay for rush results too? If so, you can expect your results in one business day. If not, they’ll be ready in two business days. Hi, Victoria. If the samples were sent via the business-reply envelope included in the kit, it takes 5-10 days for it to get to the lab. You will receive an email once they arrive here. If the samples are received by 10 am Mountain Time on the day they arrive, you’ll have your results the next day. And yes, you’ll also get an email once the results are posted. Hi, Victoria. If you expedited the shipping, then it will get to the lab much faster, yes. After that, you’ll get your results the next business day if they arrive by 10 am Mountain Time. I bought the test for mom,child and father. There are 3 packages of swabs. There is 3 swabs in each packet. Do mom child and father each submit 3 swabs a nnd piece. Or is one swab apiece enough? Hi, Melissa. The directions in the kit explain what to do. 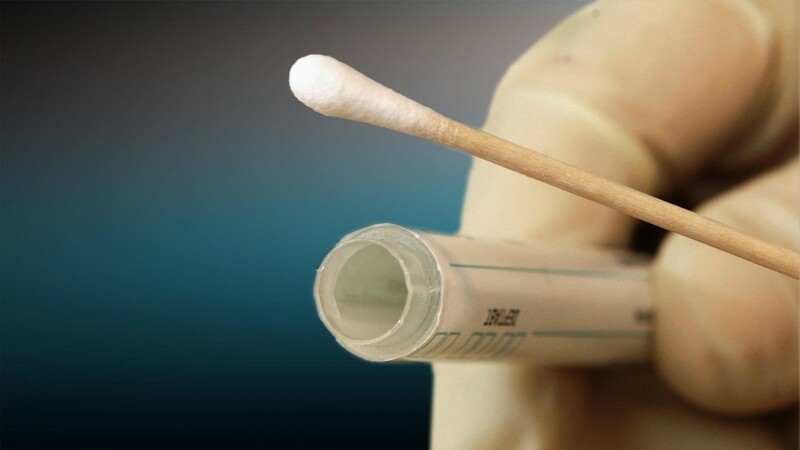 Three swabs are required for each participant. I also would like to know if I should put the swab in packet wet or wait for it to dry? Does it matter? im send fedex next day shipping to arrive around 8am or 9am. How fast will you start the processing? Never mind. Fedex said it will arrive by 10 or 10:30 am. Will it still start processing that day or wait till the next day to start? We start processing as soon as the samples arrive. If you want 1-day rush results, you can call 888-404-4363 to make that request, OK? Hi, Melissa. Let it air dry before mailing to ensure it doesn’t tear en route. Once we receive samples, results are posted in two business days. Keep in mind that with Thanksgiving being this week, we are closed Thursday and Friday. I mailed the envelope last Saturday but accidentally put it in the stamped box and not the metered box at the post office. Will it be ok? Also it still shows waiting on samples and while reading it shows if the test is not paid for it will show that status until paid in full. I paid at the time I set the test up, but when I go online to the site it doesn’t have anything that shows paid. How can I be sure you have my payment by looking at the site? Hi, Julie.It depends on the individual post office, but I’ll bet they send your samples through. Remember, it takes 5-10 days for samples to arrive at our lab when using the business-reply envelope. If you have any questions about payment or if you have other questions, you are more than welcome to contact our Client Support Center at 888-404-4363. In looking up your case just now, it looks like you’ve already reached out to them and they’ve answered. We wish you all the best! Hi, Walter. Did you not set up an online account? Your results will be posted there. You can also call our Client Support Center directly at 888-404-4363 and they’ll be happy to help you get set up. You’ll need the 6-digit call-in pin you wrote down on your order form. Hope this helps! I sent in my results on Monday morning in the prepaid envelope. I leave for active duty next Tuesday, do you think I will have the results by then so I can contact the guy I’m testing? I’m really wanting to know if he is my dad or not before I leave. Hi, Chelsea. Since you used the prepaid envelope, it’s hard to say. It depends on the post office and where you live, but it usually takes 5-10 days to arrive at the lab. And then it’s another two (2) business days for testing to be completed. One option you have is to call us at 888-404-4363 to see if it’s still possible to pay for rush 1-day results, but that only speeds up the process once your samples arrive, and not the mailing process itself. Thank you for your service and be safe out there! I have two children and one father do i have to order two different kits to test them. Hi, Dimitria. You can use one kit since there are enough materials to collect samples for three people. However, please keep in mind that you will need to pay a separate lab fee for each child ($89 x 2, or $178). Does this answer your question? Hi. I am thinking about purchasing a house identigene kit. But I was wondering if I don’t the option to pay online or over phone for the lab can I send in a money order with the kit? Hi, Vanessa. Yes, money orders are just fine. When you purchase the kit, you’ll see this as an option on the order form. If you have any other questions, one of our experts will be happy to help you. Just call 888-404-4363, M-F (9 AM to 5:30 PM Eastern). Hi, Heather! No, we can’t. It is required that all participants give us signed consent themselves, so a secret test is not an option. We sent our envelope in 4/13/16 around 1 pm. We paid ups $45 for overnight delivery which they said will be delivered by 10:30 am on 4/14/16. We also paid the $30 for one day results, so will we get the results on 4/14/16 thats on a Friday or will it be Monday? Hi, Cymone. If all is well with your samples, you should get your results today, April 15. You are notified via email once your results are ready. You’re also welcome to call us directly at 888-404-4363 before we close at 6 pm Eastern Time. Hi, Shakeva. In most cases we don’t need the mother’s DNA to confirm results, so that should be fine. If you have any questions about your case, please feel free to call us at 888-404-4363 (M-F, 9 AM to 5:30 PM Eastern Time). Hi, I sent mine in with overnight delivery. USPS said that it will land there tomorrow 4/28 at 3pm. I also paid for the 1 business day results. I am wondering if I will know by Friday 4/29 or if I will have to wait until Monday. Also I filled out the entire form instead of just stopping at the online only part. This test has been on my mind and I wasn’t thinking. I hope it is not a problem. I just am really anxious to finally know who my father is. Hi, Ashley! If all is well with the quality of your samples and they arrive in the time frame you outlined, you should have your results by late afternoon on Friday 4/29. If you have questions at any time after your samples arrive, please give us a call at 888-404-4363 (M-F, 9 AM to 5:30 PM Eastern). i sent off my dna swabs and the babies and my boyfriends dna as well. we paid rush shipping and sent it off and it go to yall today which its thursday. we also paid for the 1 day 30 dollar fee to have it the next day. when will i get my results? Hi, Shaeyla. We send you updates on your case via email, so keep an eye on your inbox. If you created your online account, you can check status there. You can also call us directly for updates at 888-404-4363 (M-F, 9 AM to 5:30 PM Eastern). Thanks! Hi i have a question my son is deceased and i would like to know if he may have fathered a child along with the mother is it possible for me and the mother and the child to take the test to see if my son is the father if not then any suggestions on how we could find out thank you. Hi, Sonia. You definitely have that option and we do those kinds of family relationship tests every day. A grandparent test costs $350 if both grandparents can test, and $399 if only one grandparent test. The cost difference has to do with the amount of resources required to do the analysis. The mother would definitely need to participate. I suggest you call us directly at 888-404-4363 (9 AM to 5:30 PM Eastern), and one of our experts will be able to better assess your situation and let you know what your options are. I lost the order form for one of the tests I bought and have already setup. I cannot find anywhere for me to print another on the website. Can you please email me an order form asap so that I can get this test done! Hi, Scott! You’ll need to contact our Client Support Center directly at 888-404-4363 (M-F, 9 AM to 5:30 PM Eastern Time). Hi, Brandon. That is so strange! Just give us a call at 888-404-4363. Hello I received a email yesterday by my shipping courer that the test out was delivered to you yesterday morning at 7:30 am. But I still have not received an email from you letting me know that you have received it? I paid by money order so did not create an online account as per instructions. I would like to know if you have received the test yet and how long will it take till I know the results? Hi, Cynthia. Our records show that the email was sent yesterday and testing has begun. You can expect your results to be posted two business days after samples were received. For an update on your case, you can now log in to your online account or give us a call at 888-404-4363 (M-F, 9 AM to 5:30 PM Eastern Time). We did a home dna testing and provided all info including the supposed bate of birth of baby , and we received email stating bate of birth was missing but it’s clearly printed on the email that was sent !! Can you please tell me how this is true when Baby’s date of birth was provided??? Hi there! Did you test with us? Because I can’t locate an account with the email address you listed for this blog comment. Without looking at the details of your case, I really can’t tell what happened. I’m sorry! I suggest you contact us directly at 888-404-4363. Yes ma’am it’s it under my husbands email!! OK, great! Then I suggest you give us a call since we don’t want you to give any information publicly here. Thanks! Hi, My sister was want to know how much it will cost to test 2 possible dad of her 4 kids. She is wanting to know if 1 of the possible dads is the father of all 4 of her kids and if the other 1 is possible the father of 2 of her kids. What would she need to do to find this info out. Hi, Tina. She should call us directly at 888-404-4363 to speak with one of our experts. The lab fee is $89 to test one father + one child. Doing some quick math based on what you’ve told me, it looks like the lab fees would be $356 to test Possible Dad #1 with 4 kids, and $178 to test Possible Dad #2 with 2 kids. Hi, If I’ve already paid to have the samples sent in, is there anyway to expedite the shipping process? And how would I go about doing that? Is there any way to overnight it? Thanks. Hi, Emily. Please contact us directly at 888-404-4363. Hi! If you used the postage-paid envelope included in the kit, all 5-7 business days for samples to arrive. Keep an eye on your email. Once they arrive and testing begins, an alert will be sent to the email address associated with the account. i mailed my test off yesterday threw the post office it will arrive at the lab Wednesday dont have a time yet, i paid for 1 business day so when will result be posted? Hi! It depends on how you sent the samples. If you used the postage-paid envelope included in the kit, then you must allow 5-7 business days for samples to arrive. Once they’re here, you’ll get results the next day, assuming all paperwork was filled out correctly and everything is OK with the samples. If you have further questions, feel free to contact us directly at 888-404-4363. Hey I sent my test off yesterday (December 26,2016) but I think the results will go to my son’s father email address. Is there anyway the mother can get the results also? Hi, Tanesha. Please give us a call at 888-404-4363 and one of our experts will be happy to help you. Hi! For answers about your individual case, please call us directly at 888-404-4363. My sons potential father is no longer living? whats my next option? can i test his sister? how much of a price differnce is it? Hi, Jamie. You can, although one or both of the potential father’s parents will be much more likely to yield a conclusive result. You need to plan on contributing your DNA to the test as well. The price difference is substantial due to the more-extensive analysis required. It’s $350-399 versus $89 for a straight paternity test. You can learn more about it here: http://dnatesting.com/paternity-testing-without-the-father/ or feel free to contact us directly at 888-404-4363. Hi, Christian. It takes 5-7 business days for samples to arrive at the lab, if you used the pre-paid envelope. With holiday closures at USPS and at the lab, it may be taking longer. For an update on your case, please contact us directly at 888-404-4363. Thanks for your patience! Your website in certain sections as well as the box states to send samples to IDENTIGENE, LLC 2495 S West Temple Salt Lake City, UT 84115 when using FedEX or UPS, but then in another section it states to send samples to 1DDC Way, Fairland OH 45014 when using FedEX or UPS. I sent my via UPS to the Salt Lake City address on 01/09/17 and UPS says it was delivered 01/10/17. But i havent heard anything from you guys. Did I send it to the wrong address? Which address was to be used? Hi, Ashley. We’re moving the Identigene business over from Salt Lake to our new owners’ lab in Ohio, and so we’re in transition. Your samples were overnighted to Ohio from Salt Lake City and once the samples start being processed, you’ll receive an email alert if you included an email address on your paperwork. You are welcome to call, but I recommend waiting until Tuesday the 17th to do so (the lab is closed on Monday for MLK Day). The number is 888-404-4363. Thanks for your patience and understanding! I sent off a dna test for my boyfriend and another child on Wednesday from central Florida, how long will it take to know the results and how long will take for you to receive them? Hi, Amber. Please allow 5-7 business days for your samples to arrive at the lab. If you included an email address on your paperwork, an alert will be sent to that address once samples arrive and testing begins. After that, your results should be posted in 2 business days (or 1 business day if you paid extra for rush results). Hope this helps! We are testing 3 different children with my one son, so do I have to have one online account or three? Is it better to pay online in this situation? Hi, Tasha. It really depends on your preference. It’s definitely more convenient to have just one online account. I recommend you contact us directly to set this up at 888-404-4363. How many days do I have to send it out after I have swobed our mouth? Hi, Karlee. If kept in a cool, dry place, samples are good for up to six months. Where would be the best place to keep it stored? Hello I and my daughter would like a dna test but mother not wanting us to is it OK just to have father and daughter. Hi, Breanna. Yes. Once you get an email notifying you that your results are ready, you can log in using the email address associated with the account and the password you entered on your paperwork. I sent my kit in on wens day March 8th 2017 it is scheduled to be their by or before 1030 am would I have my results by Friday being 2 business days? Can I call back and pay for expedited results if not? Hi, Spencer. Give us a call at 888-404-4363 and we’ll do our best to help expedite things for you. Yes I called they send by Monday the 13 do they ever get results early or is that a definite date? That’s usually a definite date, Spencer. Sent off test on 3/13. Paid for test 3/14 online. called on 3/20 was told to give it 7 business days. Sent message on 3/22 haven’t gotten a reply. Day number 8 today still no email confirmation, no response to previous message. Not sure how to get definite answer of when test will be there or when results will be available. Starting to feel like we wasted $125. Hi, Jason. When you send samples via the postage-paid envelope included in the kit, there is no way for us to track that envelope and we can only give our best guess as to when it will actually arrive. The timing is entirely up to the US postal service and how fast they move to process this type of mail. In the last few weeks, it has taken up to 14 business days for some samples to reach us. What many customers do instead of using the postage-paid envelope is to send samples via 1st class mail, UPS, or FedEx. Instructions for how to do this are in the kit. Now, once samples are here at the lab, our job is to expedite results as quickly as possible without ever sacrificing quality, and that’s what we do. If a customer pays extra for 1-day rush processing, then results are posted the next business day. Be assured your test is in good hands. If i forgot to put the Paternity order form in the self addressed envelope but i did the online paying is that ok? Hi, Lisa. No worries…you’re just fine! I have not heard from my DNA test. Why? Hi, Katherine. Have you been notified that your samples have arrived at the lab yet? If you have, please contact us at 800-344-9583 so we can look up your case and help you. Thanks! Hi, Kimberly. We don’t process mail over the weekends. So if you overnighted samples, the envelope would arrive here on Saturday, but testing wouldn’t start till Monday. Assuming all is well with your samples and paperwork, if you have a $119 kit, the results would be posted on Tuesday; if you have an $89 kit, the results would be posted on Wednesday. Hope this helps! I bought a test today? Do I pay for results now or when they are ready? how do I make an account? Hi, Koda. Please follow all kit instructions: they’re self-explanatory. You can submit payment with your order form and samples, in which case we’ll create your account for you. Or you can pay anytime online and create your own account. I have a question; when doing the payment online, there is a box that can be checked for $50 added to the already $119 lab fee for express shipment. Would we not already be paying this fee to FedEx/UPS for the express shipping? Is there an extra $50 that we must also pay to Identigene for working with samples sent through this faster method of shipment? Also, can I use a credit card from a credit union as I bank with a credit union? I know the form included in the box does not state this as a type of card. I will send a money order if need be when the time comes to send in my test. Hi, Mikayla. If you pay the $119 lab fee, you’re already getting 1-day results, so no. Your credit card from a credit union should be a Visa or other major credit card, even though it’s branded with your Credit Union’s logo, etc., so it should work. Hope this helps. If you still have questions or prefer to set up and pay for your test over the phone, feel free to call us directly at 800-344-9583. Hi, Gabrielle. The lab would catch immediately that the DNA from the alleged father’s swab is exactly the same as the one from the baby’s and would ask for new samples. I bought a test and sent it out on 12/11/17. I reside in the state of IL. I paid for the $119 kit testing the previous night and did the swabs that morning. I was unsure of how long it would take fo me to receive confirmation on the results or that you guys received my samples. Hi, Karrissa. If you used the prepaid envelope in the kit, the usual mailing time by the postal service is 7-10 business days (not including weekends). It’s been taking a little longer lately, perhaps due to the holiday season. When samples arrive and testing begins, an alert is sent either via text message or email, depending on the method you chose. Once samples arrive, results are ready in one business day, assuming paperwork is in order and/or no additional testing is needed. Hope this helps! I mailed a Paternity Test from Raleigh North Carolina on December 11, 2017 and I have yet to receive an email or a confirmation of receipt from Identigene. I did not create an account with Identigene. I simply took the swabs from myself and the supposed child, mailed them in the provided envelope with a personal check for $119 with my Driver’s License number written on it. Hi, Anthony. It takes about 10 business days for samples to reach our lab (not including weekends), and the postal service has been slower for the holidays, so chances are good your samples are still in transit. Hopefully you included all information on the form, including your name and email address so we can confirm with you when your samples arrive and testing has begun. Chances are good your envelope will arrive and be processed between Christmas and New Years. Once here, the process is very fast. Your results are ready in one business day. Hello! My bf sent out our kit to you guys Monday morning. When will u think we should have the results by?? Hi, Nicky. If you used the postage-paid mailer in the kit, it can take 10 business days for samples to arrive here at the lab. Once here, the process goes very quickly: 1-2 business days. I received an e-mail yesterday at 10:42 AM saying my samples were received. When can I log into my account for a status update? Hi, Shelby. You can only log in to your account once your results are ready. Please keep an eye on your email. Hi, I recently sent off the DNA but I checked for something for $30 dollars extra on the purchase order online. It says it was for express shipping in my confirmation information that I was emailed but I thought the $30 was for 1-day processing? Which one was it for? I wasn’t aware that expressed shipping was offered. Hi, Erica. Give us a call at 800-34-9583 to sort out your payment. Thanks! I received an email yesterday around 10:30 am that my samples were received and i should have results at 6pm EST the following business day (which is today). I just wanted to see if I should definitely expect results at 6pm, or if there is a possibility i may receive an email with the results sooner than 6pm? Hi, Anne. Were you able to get your results OK? If not, feel free to contact customer service at 800-344-9583 (M-F, 8:30 am to 5:30 pm Eastern). Could you tell me an estimated time it would take for you to receive my samples? I know the average is 5-10 business days, but could you give me a better idea of what it would be if it was shipped from Massachusetts? Hi, Kelly. It really depends on how efficient the post office is; the time estimate is the same. We bought a test and collected the samples today. We will be mailing it Monday. Is there anyway we can overnight it instead of waiting 5-7 business days for y’all to receive it? Thank you identigene! Although it took me close to 4 weeks to found out the result due to few minor complication. I’m very glad with the result and you guys gave me confidence to continue providing the best that I can do my family. Awesome! So glad we could help you, Anomy. Hello, my payment for the lab fee was processed Wednesday Aug 8, 2018 it is now Tuesday Aug 14, 2018 and I have yet to receive an email or any type of notification from Identigene stating samples have been received. And it’s also my understanding that the result should be ready now, considering it only takes 2 business days. Hi! Please call us to check on the status of your case (800-344-9583), and be sure to check your spam folder or other folders for communications from us. You have a Gmail address, so communications often end up going in the Promotions inbox. Hi I overnighted my test and it arrived at 9:30am 10/25 I paid for 1 day results. I got a email saying I would know by 10/26 (Tomorrow) by 6pm. Is there anyway I can find out today before 6pm? Hi, Asyhle. It is possible, but it can’t be guaranteed. Watch for an email notification letting you know your report’s been posted. Thanks for testing with us! I received the mail today that the tests have already arrived at their laboratories but it says that the results will be for the 26th, it means that it is not two working days, it is 4 days, why? I need the results in 2 days. Hi, Kamila. It is because of the Thanksgiving holiday. Our lab is closed November 22-25 and results are not issued during that time. Hi, Mary. We don’t always answer blog comments within 24 hours. For faster answers to your questions, please contact us directly at 800-344-9583. How Can I be Sure my DNA Test Samples are Good?